Announcement : Our shop move to new location from Grand diamond Plaza to Palladium Building, Pratunam Intersection, Petchburi Street. 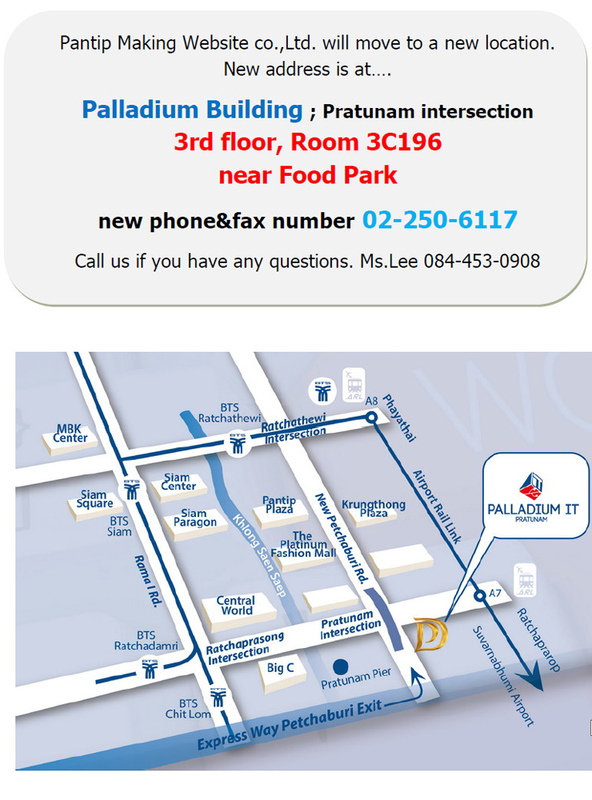 Palladium building is at Pratunam intersection 300 meters away from Central World. 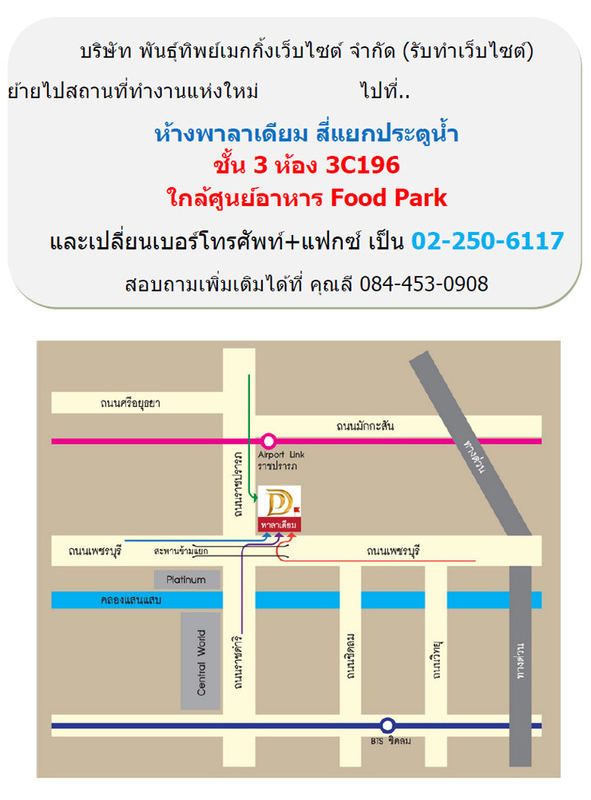 Please see our new location in the attached map photo. we're sure you can go and find our new shop by convenience. Now 2015!! Do you have any website?? Your competitors have many websites. --รับทำเว็บไซต์: สแตนดาร์ต, เว็บธุรกิจ แก้ไขข้อมูลได้เอง , เว็บอีคอมเมิซ ร้านค้าออนไลน์ ขายตลอด 24 ชม. Promotions! Linux Hosting start at 1,000 MB .. price 1200 baht/1 year only! FREE! New Domain.com 1 year if you take below hosting!! Linux Hosting Space 3 GB 2,000 baht per year & Add on Domain 1 domains! Linux Hosting Space 6 GB 3,000 baht per year & Add on Domain 3 domains! Linux Hosting Space 10GB 6,000 baht per year & Add on Domain 9 domains! Reseller Linux Hosting Space 30GB 12,000 baht per year & Add on Domain 19 domains! Let's go to check name now! 3. 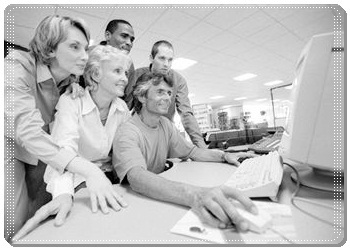 Web Design:: Web site model is the way to a third model with the following. 3.1. Standard 7,900 Baht (Free! Domain & Hosting 1 Y). > Designed to 5 pages (without flash). > Photos up to 30 photos. > General information of companies such as Home, Product, Service, About Us, Contact Us. > Start a website on a budget. Edit rarely (not system admin). > Public relations for the company. Extra image Contact via e-mail support to customers worldwide. > Work within 10-14 days. 3.2. Business 13,900 baht (Free! Domain & Hosting 1 Y). > Design for 10 pages (excluding flash). > Photos up to 40 photos. > Add a menu to add page add image to edit it manually whenever it is easy to use admin system. > Have to include an image gallery product or activity and shows a slideshow, a system member login, and webboard. > Edit your own teaching / work within 20-30 days. 3.3. E-commerce 16,900 baht (Free! Domain & Hosting 1 Y). > Photos up to 50 photos. > The product you are selling online worldwide. Or display a product catalog. Add your own products is not limited. > For companies that have frequent updates. Because self-editing, unlimited user-friendly admin system. > Shopping Cart System (Shopping Cart), accept payment by Paypal, Paysbuy or bank transfer. 3.4. E-commerce ADVANCE 29,900 baht (Free! Domain & Hosting 1 Y). > Design for 10 pages (Include flash). > Photos up to 70 photos. >Edit your own teaching / work within 20-30 days.